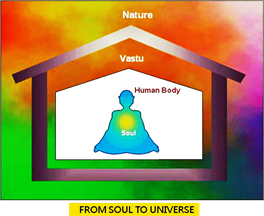 VASTU SHASTRA is the traditional Indian system of architecture and design of Vedic origin. A part ofthe Vedas, the word ‘Vastu’ in Sanskrit means ‘dwelling’, and in the modern context,it covers all buildings. Vastu pertains to the physical, psychological and spiritual order of the built environment, in consonance with the cosmic energies. It is a study of planetary influences on buildings and the people who live in them, and aims at providing guidelines for proper construction. It is believed that for peace, happiness, health and wealth one should abide by the guidelines of Vastu while building a dwelling. It tells us how to avoid diseases, depression and disasters by living in structures, which allow the presence of a positive cosmic field. Since Vedic wisdom is considered synonymous with divine knowledge of the cosmic mind obtained by sages in deep states of meditation,Vastu Shasta or the Science of Vastu is thought to contain the guidelines given by the Supreme Being. The fundamental premise of Vastu rests on the assumption that the Earth is a living organism, out of which other living creatures and organic forms emerge, and so every particle on Earth and Space possesses ‘live energy’. five elements (‘PANCH-TATVA’ or ‘PANCH-BHOOTA’)i.e. Earth, Fire, Water, Air (or atmosphere) and Sky or Space, govern the Principles of Creation. These forces act for or against each other to create harmony and disharmony. It also says that the nine planets and each of these planets guards a direction influence everything on Earth, in some form or other. Therefore, our dwellings are under the influence of the five element sand the nine planets. Vastu Shastra says that if the structure of your house is designed in such amanner that the positive forces override the negative forces then there is a beneficial release of bio-energy, which helps you and your family members to live a happy and healthy life. A positive cosmic field prevails in a’Vastulogically’ constructed house, where the atmosphere is congenial for a smooth and happy life. Contrary to this, if the same structure is built ina way that the negative forces override the positive, the overbearing negative field makes your actions, efforts and thoughts negative. Herein comes the benefits of Vastu, which guides you to have a positive atmosphere at home and LIVING IN HARMONY WITH THE EARTH. Evidently, Vastu is akin to the Science of Geopathy , the study of the diseases of the Earth. In both these two disciplines, for instance, the presence of dampness, dressed stones, beehives and anthills are considered harmful for human habitation. Geopathy recognizes that elector-magnetic radiations that are cosmic in origin surrounds the Globe, and those radiation distortions can make a site unsafe for construction. In some parts of Austria, children are moved in school, to a different desk, at least once each week, so that learning difficulties are not increased because they may be sitting in a stressed area. Geopathic Stress may also attack the immune system and cause conditions like asthma, eczema, migraine, irritable bowel syndrome and sometimes many other serious ailments. 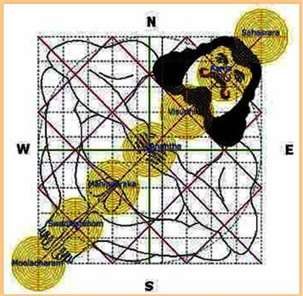 Many Vastu rules are derived from ‘Vastu Purusha Mandala’ which is depicted as a man lying with his head pointing North-East, in a grid of usually 64 squares. The different directions and sectors are assigned to different Gods and Guardians. It aims at providing guidelines for proper construction. Vastu orientates, places and dictates the proportions of every detail in building lines, skylines, elongations, levels, slopes, water (underground and overhead), kitchen, bedrooms, toilets, staircase, heights of ceilings and roofs, entrances, loci of doors and windows, compound walls and soon. Vastu is affected with positive power of five elements: the Earth, the Water,the Fire (the Sun), the Space and the Air. Vastu Shastra comprises of philosophy and theory of Architectural works to construct any building and as well as living style of people. Vastu Shastra is based on various natural energies like: Solar Energy; Lunar Energy; Earth Energy; Electric Energy; Magnetic Energy; Thermal Energy; Wind Energy; Light Energy; Cosmic Energy Ancient sages of India laid down several principles for constructing buildings by taking advantage of the Nature. Delving into history, we find that Vastu developed duringthe period of 6000 BC and 3000 BC (Ferguson, Havell and Cunningham) and washanded over by ancient architects through word of mouth or hand-written monographs. Vastu is an old reference to many people. Often many people ask: what is Vastu? Where is it? Can anyone show any proof? Vastu is like a magnetic effect and there are no known methods to prove it exists. It can only be proved and shown through examples and the experience of the people who have followed Vastu.Extensive research done worldwide by numerous Vastu scholars has established it as a science. Buddhist literature also makes numerous mentions of buildings based on Vastu. There is a mention of various ‘viharas’, temples, houses, buildings in the various Buddhist texts, based on Vastu. It is said that Lord Buddha used to deliver discourses on architecture and he was very much conscious of the construction of the buildings in order. The word “VASTU ” has been derived from ‘ VASTOSHPATI ‘used in ‘Rig Veda’ (one of four Vedas –sacred ‘shlokas’ in Hinduism) and is meant to provide protection, happiness and prosperity in this life as well asafter death. In the ‘Matsya Purana’, following eighteen scholars of Vastu Shastra have been mentioned. They are Bhrigu, Atri, Vasistar, Viswakarma, Mayan, Naradar, Nagnajit, Visalakshan , Purandaran, Brahma, Kumaraswamy, Nandikesawaran, Sounakar, Bhargavar, Vasudevar, Anirudhar, Sukran and Brahaspati. This book was written during 12th century and may be later to the book ‘Samarankana Sutradhara’. It describes Vastu Shastra principles and formulae as a question and answer type. The discussion is between Viswakarma and his daughter Aparajithai. 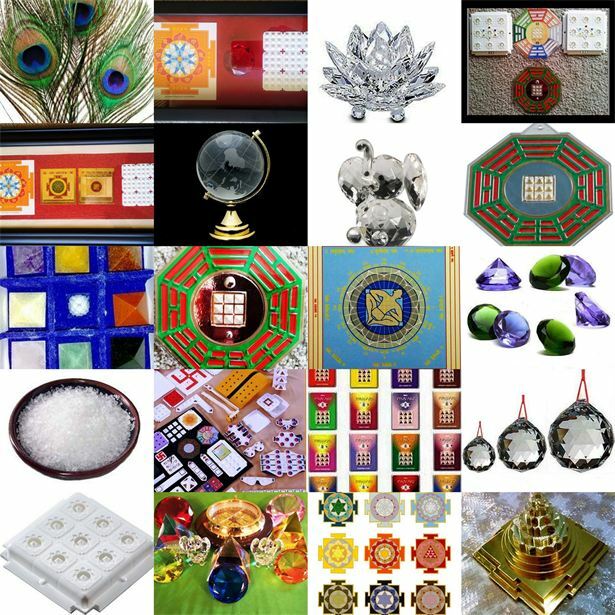 In Vastu Shastra, eight directions – North, East, West, South,North-East, South-East, South-West and North-West are considered as important. If you are planning to build your house or any other building based on Vastu Shastra, first you should have knowledge of your plot’s direction. Then you should decide in which direction you ought to keep your main gate. You may, if necessary, take the help of a compass to know the directions. Always remember that the direction you face while exiting the place is the correct direction of your house or building. As the numerals have their apparent influence of human life, similarly influence of the directions is also apparent. Richness or penury of a person can be known from the location of his house. In which direction is his house located? Which direction does the entrance of his house face? How is the interior decoration? These and other related things reveal the economic condition of a person. Similarly, changes that must be made in order to bring prosperity and to prevent imminent danger or crisis can also be known with the help of VASTU SHASTRA. As everybody knows, there are four major directions; East, West, North and South. Besides these, four sub-directions are also considered. These are ‘Agneya’ (South-East), ‘Nairitya’ (South-West), ‘Vayavya’ (North-West) and ‘Ishaan’ (North-East). Each of these directions and sub-directions has its own merits and demerits and yields results accordingly. Every direction has a deity or lord that rules it. Vedic Vastu Shastra describes the importance of ‘Ashtadhik Balakars’ or Guards of Directions. All these nine Gods are the majority of ‘Devas’ who conquered the ‘Vastu Purusha’ and guarding the peaceful living of human beings. Hindu Vedas are based on these Gods of Nature and quite a lot of scriptures are dedicated to these Gods. ‘Indra’ is the ruling deity of the East. He is capable of destroying enemies. He is King of the gods, ruler of the heavens and a great warrior. He is symbol of courage and strength. He can appear in any form as per his wishes. He is also the lord of thunder, rains, and has the wind as his assistant. Increment in wealth, cereals and animal stock can be affected through worshipping Indra. Indra is also the king of the heaven. Elephant ‘Airavat’ is Indra’s vehicle and ‘Vajra’ (Lightning) in his weapon. Indra, ‘Airavat’ the elephant and ‘Samwardhan’ are the watch masters to ensure the existence of ‘Dharma’.The East is also the abode of gods like ‘Aditya ‘ (Seeingthe world)/’Surya’ (Sun God), Agni, Jayant, Ish, Parjanya, Satya, Bhup and Akash. East is also known as a direction of lineage. During the construction of the house, some portion must be left open in the East. It leads to long life for the owner. The West is the opposite of the East. No work can progress in the West It is ruled by Lord of Water (Physical)) ‘Varuna’ (Neptune). He is the lord of this direction, which is under the influence of sage Agastya. ‘Varuna’ is the Lord, Anjanam the elephant, Hiraswa Pathan are the guards. Sea is the abode of ‘Varuna’ who is god of the sky, rain , waters and of the celestial ocean. He therefore, has most influence on the water bodies. A proper utilization of westerly portion of plot leads to reputation, fame, prosperity and success for the owner. He is concerned with moral and societal affairs. He is god of law and of the underworld. Proper constitution of this direction guarantees the dweller a long and healthy life with all prosperity and continuously enjoys the goodwill of others. ‘Kuber’ is the lord of this direction. ‘Kuber’ is the Lord of Wealth (Finance) and keeper of riches. ‘Sarvabowman’, the elephant, ‘Gajamuhan’ the demon are the guards. Literally, ‘Kuber’ means the one who controls the imminent events and causes increments. He has imperceptible wealth and property. ‘Kuber’ is the king of ‘Yakshas’ and ‘Kinnars’ and is a friend of ‘Rudra’ (Shiva). Kailash is the abode of ‘Kuber. He is regarded as the regent of the North (‘Dik-pala’), and a protector of the world (‘Lok-pala’).He is often depicted as a fat man, adorned with jewels and carrying a money-pot or money-bag, and a club. He blesses every individual with good strength, better business sufficient in flow of money, education, industrial growth etc. If this aspect coincides with Vastu ‘lakshana’, the dweller will be pious, blessed by ‘Lakshmi’ (Goddess of Fortune) and he will be respected by others. ‘Mercury’ is the planet that rules the North. It is more influential in the dark phase of every lunar month. North is a also an abode of the gods like Diti, Aditi, Shail, Naga and Bhallat etc.North is also a place of mother. Leaving some portion open in North leads to prosperity of maternal side as well as provides wealth, comforts, peace etc. for the owner. ‘Yama’ is the lord of this direction and also known as ‘Yamaraja’, the Lord of Death/Damage and reports to Lord ‘Shiva’ the Destroyer. South direction weakens human life, hence all the auspicious tasks are prohibited in the South. South is also an abode of the gods like Gandharvas, Mriga, Pusha, Vitath and Kshat. In all the South direction yields nothing but mourning, depression and pain. Yama is the Lord, Vamanam, the elephant; Gundothara, the Demon are the guards of this direction. If this direction is properly constituted the dweller, will escape from the envy of others and cast of all evil eyes. Direction that lies midway between the East and the South is known as ‘Agneya’ (South-East). ‘Agni’ (Fire, Energy Generating) is the lord of this direction. Pundareegam, the elephant; Unmaththan, the demons are the guards of this direction. He is the preserver and defender of every being. Agni also carries the message of people who worship and offer oblations with devotion to God. Worshippers of Agni are economically strong and long living. Agni himself takes care of the people who make offerings into him. Agni also provides them with comfort, peace, prosperity and progeny. An important entity in ‘Ayurveda’, responsible for the sustenance of life. It helps in the various physiological functions of the body. While constructing a house, the first pillar must be erected in the South-East direction. Alternatively, kitchen of the house should occupy a place in this direction. This is the foremost and an important rule of Vastu Shastra. If this space is well located, ‘Lakshmi’ the Goddess of Fortune favors this house and the women folk who live in are destined to enjoy peaceful and happy life. A warm ‘Agneya’ direction makes a man healthy, whereas a faulty use makes the owner short tempered. It lies midway between the South and the West directions. ‘Nairuthi’or ‘Nairitya’ is the ruling godess of this direction. This is the goddess of death and corruption. ‘Nairuthi’ is the Lord; Kumutham, the elephant and Dheerga Kayan, the Demon are the guards of this space. ‘Pitru’/’Nairutya’,’Nairuthi’ is ruled by ancestors (History). Literally, ‘Nairitya’ means repeated happening, whether be it the birth of a baby or any other event. It also means that nothing not done at proper time can have a repetition. If the house is built in this direction, the home suffers continuous decay. South-West portion of the house should never be left open,nor should a pit be dug is this direction. This direction is believed to be an abode of demons and ghosts. To prevent the accumulation of inauspicious and pain causing things, digging of pit in South-West is prohibited. If for some reason, digging is necessary, it should be covered as early as possible or a sapling be planted in its place.The proper placement of this direction assures the dweller to lead to care free life and provides protection against being robbed. It lays mid way between the West and the North. ‘Vayu'(wind) is the lord of this direction. He is the father of ‘Bheema’ and the spiritual father of ‘Lord Hanumana’. Vayu is the Lord, Pushphandham, the elephant; Singamugam, the Demon are the guards. Lord of Winds (Advertisement) is god of the sky, rain, waters and of the celestial ocean besides god of law and of the underworld and concerned with moral and societal affairs. Five kinds of ‘Vayu’ i.e. Prana, Upana, Samana, Vyana and Udana are necessary for human life. ‘Hanumana’ and ‘Bheema’ are the representations of ‘Vayu’. It is believed that those who worship ‘Vayu’ in the form of ‘Hanumana’ get their desired results at once. North-West angle is the progenitor of friendship or enmity.Hence, a faulty use of this portion of plot may result in majority of the enemies. If you use this angle of your plot wisely and flawlessly, you will have many friends who will undoubtedly benefit you. If this direction is formed as per the rules, the dweller will escape from enmity, chaos and calamity. Peaceful and successful life is generally ensured. The angle that lies midway between North and the East isknown as ‘Ishanya’ (North-East) direction. Lord of all quarters ‘Shiva’ is the lord of this angle, the invisible power that governs the universe. ‘Ishanyam’ also represents it with Supradeepam, the elephant; Priyamugan the demon as guards. ‘Pashupat’ is the weapon of ‘Shiva’. ‘Nakshatra Ardra’ is the symbol of Lord ‘Shiva’. This is the invisible power that governs the universe and represents prosperity and knowledge. It is related with religions, luck and faith. Worshipping of ruling God of this direction yields many virtues in the life of the worshipper. Portion of the house in this direction must be kept holy for it yields many kinds of divine powers to the owner. Proper utilization of this portion of house provides wealth, reputation, property and every kind of excellence for the owner and the dweller will not face any hurdle or obstacle and destined to lead a happy life. A faulty utilization of this angle, however,may block successful continuation of progeny. Center is ruled by Lord/Creator of the Universe (Desire) the’BRAHMA’. He is the creator. The daily alternation of light and dark is attributed to the activity of Brahma. The four Vedas are said to have sprung from his heads. Many structures in nature have a silent core of intelligence, and the activity of the structure is arranged around this core. We see this in the structure of galaxies, solar systems, cells and atoms. This core is called a ‘Brahmasthan’, or place where wholeness resides. As in the structures of ‘Nature’, there should also be a ‘Brahmasthan’ in a Vastu building. ‘Brahmasthan’ should never be depressed. Heavy objects,wells, lifts, stairs and restrooms/toilets are totally prohibited in the ‘Brahmasthan’. If it is depressed it may lead to health problems for the house owner and affect the prosperity. ‘Vastu Purusha Mandala’ is an indispensable part of Vastu Shastra and constitutes the mathematical and diagrammatic basis for generating design. ‘Purusha’ refers to energy, power, soul or cosmic man. ‘Mandala’ is the generic name for any plan/chart, which represents the cosmos metaphysically/symbolically, a microcosm of the Universe. In Hindu Cosmology, the surface of the Earth is represented as a square, the most fundamental of all Hindu forms. The Earth is represented as four cornered with reference to the horizon’s relationship with Sunrise and Sunset, the North and South direction. It is called ‘Chaturbhuji’ or ‘Four Cornered’ and represented in the symbolic form of the ‘Prithvi Mandala’. The astrological charts or horoscopes (‘Rashi’, ‘Navamsa’ etc.) also represent in a square plan the ecliptic, the positions of the Sun, Moon, Planets and Zodiacal Constellations with reference to a specific person’s place and time of birth. The ‘Vastu Purusha Mandala’ is a specific type of ‘Mandala’ used in Vastu Shastra. It is the metaphysical plan of a building/temple/site that incorporates the course of the heavenly bodies and supernatural forces. and other gods were distributed around in a concentric pattern. There are 45 gods in all including 32 outer gods. The ‘Vastu Purusha’ is the presiding deity of any site. Usually he is depicted as lying on it with the head in the North-East and the legs in the South-West but he keeps changing his position through out the year. The Vastu Purusha is said to be the spirit of the site and is super imposed in the form of a human male into the enclosure to indicate the birth of a structure from Nature. He is depicted as a man lying with his head pointing North-East,in a grid of usually 64 squares. (Chess was inspired by this Vastu-Mandala,which symbolizes existence as a ‘field of action’ of the divine powers, the game thus representing the combat of the ‘devas’ with the ‘asuras’, of the gods with the titans/demons). His height extends from the South-West corner (‘Pitrah’) to the North-East corner (Agni). 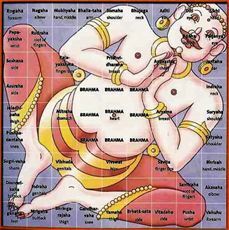 The Vastu Purusha is visualized as lying with his face and stomach touching the ground; to suggest as it were that he is carrying the weight of the structure. His head is at North-East which (balanced thinking) and his legs are at the South-West corner (strength and stability).In the centre is his navel, (cosmic awareness), and his hand face North-West and South-East (energy and movement). ‘Vastu Purusha Mandala’ also represents the subtle body with the ‘Seven Psychic Centers’ or ‘Chakras’. The South-West corner (Nairitya) where the ‘Vastu Purusha’ has his legs corresponds to the ‘Muladhara Chakra’ and denotes the ‘Earth’ Principle. Just as the legs support the weight of the body, the base(‘Adhisthana’) for the ‘Muladhara’ should be stable and strong. Accordingly, the South-West portion of the building is the load bearing area; and should be strong enough to support heavy weights. Just as the feet are warm, the South-West cell represents warmth and heat; even according to the atmospheric cycles, the South-West region receives comparatively more heat. ‘Svadhisthana Chakra’ is in the lower stomach region near the kidneys. It is related to ‘Water’ Principle (‘Jala’/’Apa’). On the ‘Vastu Purusha Mandala’, it is to the South and to the West. Therefore, the wet areas like bathroom etc. are recommended in the South or in the West portions of the building. It is for sewerage (‘Utsarjana’). 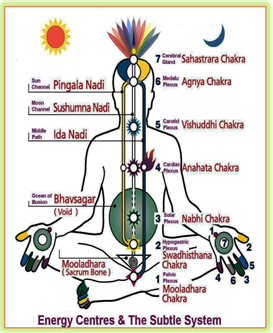 ‘Manipura Chakra’ is at the ‘navel’ and relates to energy, ‘Fire’, or ‘Tejas’. While in the womb of the mother, the fetus is fed with the essence of food and energy through the umbilical cord connected with its navel. The ‘Vastu Purusha Mandala’ shows ‘Brahma’ at the navel of the ‘Vastu Purusha’. Further, the lotus is the base (‘Adhisthana’) of’Brahma’. Thus, navel connects ‘Brahma’ with ‘Jiva’ or ‘pinda’ or life. It is left open and unoccupied. The central portion of the building is to be kept open. It is believed that ‘Vastu Purusha’ breaths through this open area. ‘Anahata Chakra’ is near the heart. It isrelated to ‘Vayu’ (Air) regulated by lungs. The lung region of the‘Vastu Purusha’ should be airy. ‘Vishuddha Chakra’ is near the throat from where the sounds come out and reverberate in space. This region represents Space (‘Akasha’). The word ‘OM’ is uttered through throat. The echo of that sound vibrates in the hollow of the bone-box of the head and in the space in brain. The head of ‘Vastu Purusha’ is in the North-East corner (‘Ishanya’). ‘Ajna Chakra’ is between the eye brows. This direction is related to open spaces(‘Akasha’). Atmospherically, North-East is cooler and so should be ones head. The prayer room (‘Devagraha’) is recommended in the North-East portion of the house. Space isNorth-East and is related to the ‘Sense of Hearing’. 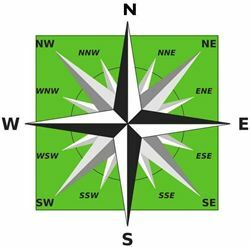 Air is North-West and is related to the ‘Sense of Touch’. Fire is South-East and is related to the ‘Sense of Sight’. Water shares Air’s direction (North-West) and is related to the ‘Sense of Taste’. Earth is South-West and is related to the ‘Sense of Smell’. These five elements are also related to ‘Chakra Yoga’ and are recognized by this form of exercise. We can use these directions with the knowledge of science to enhance your life style and health. In order to balance the ‘Doshas’ and keep positive energy flowing into the home, you must use the five elements that are found not only in our bodies, but on Earth as well. These five elements are Space, Air, Fire,Water, and Earth. All five elements are associated with a direction and sensation. Source of health, wealth, prosperity and male issues. This is this placement of universal elements in relation to the four principal directions. For better results, the Cosmic Position of the Elements should supplement any activity in your residence or office. A proper house to live in is the prime necessity for everyliving being. Its importance has been explained in the Indian civilization thousand years ago. According to it before constructing our House Hotel, Factory, Office, Clinic, Hospital, Restaurant, Motels etc. we should know (go through) the five elements and do the construction accordingly so that one gets PEACE, PROSPERITY & HAPPINESS. Our body is also made of these five elements (‘Panch-bhootas’) and therefore in this whole process Vastu-Shastra has been very much advantageous. 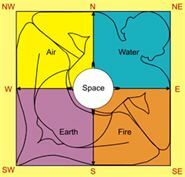 In Vastu Shastra, eight directions: North, East, West, South, North-East, South-East, South-West and North-West are considered as important. SPACE (‘Akasha’): ‘Akasha’ is the sky or space that provides shelter to all the remaining elements. ‘Akasha’ is also important because it is considered to be the primary conductor of all forms of energies, be they physical energy such as sound or light; or cognitive energy forms such as intellect and intuition; and even social energy forms such as emotional energy and psychological energy. AIR (‘Vayu’): Air or ‘Vayu’ is what gives support to all life on Earth. Without oxygen, no living creature would survive on our planet. ‘Vayu’ is measured in many ways by humidity, airflow, temperature, pressure, composition, etc. EARTH (‘Bhumi’): The Earth or ‘Bhumi’ is the land that rests both above and below the sea. Self-sustaining and all-powerful, it shapes the very continents and land mass that humanity lives on. WATER (‘Jala’): Water or ‘Jala’ is the core of almost all living beings on Earth. Our bodies are constituted of a large degree of water and our blood could not be generated without ‘Jala’. Even the Earth itself is almost 70% water. This shows that water is one of the crucial elements that help in supporting life on Earth. FIRE (‘Agni’): Fire represents light and heat which account for day, night, the seasons, energy, enthusiasm, passion and vigor. Without this energy, there would be no rotation and revolution around the sun. Fire is represented on Earth by the molten core of the planet. The essential premise of Vastu Shastra is that there is always an invisible and constant inter-relation between all five elements. Therefore, any effort by man to build on Earth must take into account all five elements and plan accordingly. A building that is made according to the rules of Vastu Shastra will give the inhabitants health, happiness, wealth and prosperity. A building that is made not in accordance to the rules of Vastu may incidentally incorporate one of the elements, but not the others. This leads to discord and disharmonious living conditions, resulting in loss of wealth, health, happiness and prosperity. Only with proper knowledge and implementation of Vastu Shastra can an abode help the inhabitants to realize their true potential. In India, there are temples devoted to the ‘Panchbhootas’ called ‘Panchbhoota Sthalams’, each of which represents one of the ‘Panchabhoota’. Every temple has ‘Lord Shiva’ worshipped in the form of ‘Shiva Lingam’ related with one of the basic five elements (‘Pancha Bhootas’). 5. Sri Kalahasthi Nathar temple representing ‘Vayu’ (Air). How does an imbalance in these elements affect us? An imbalance in these elements in the natural cycle causes Floods, Tsunamis, Typhoons, Volcanoes and Earthquakes and so on. Similarly, an imbalance of these elements in our diet can easily be felt in our body. The food that we eat gives us energy. If our diet is balanced, our body gets the necessary energy and we feel good. When there is an excess of some element in our diet, say, fire, that is, an excess of spices or chilies, there will be acidity. The (physical) discomfort in our stomach will guide us to have anti-acid tablets as well as a change in diet. Likewise, an imbalance of these elements outside our body in our surroundings creates a discomfort, which we do not feel physically but experience it mentally since the Energy Centers (‘Chakras’) of the body get disturbed. Whenever we are trying to balance/attain equilibrium objectively, it should simultaneously be supplemented subjectively through meditation. This helps to accelerate the process of energy flow and effects are achieved or felt faster, that is to work on the horizontal axis as well as vertical axis and the resultant is what we experience. In following the tenets of Vastu, we are trying to overcome mental discomfort and attain peace of mind. With Vastu, we are not changing our destiny. We are only trying to smoothen our lives. Destiny always prevails. However, by using remedial measures as provided by Vastu, one can reduce the difficulties of one’s life. The destiny of each individual is pre-determined by his past ‘Karma’ that becomes the vehicle through which he travels his present life to reach his destiny. The driver of the vehicle is his ‘Action’ and the fuel to the vehicle is his ‘Thought’. The ‘Road to Destiny’ can be smoothened by following the principles of Vastu or it will continue to be rough. For some the road is smooth even without knowing or following Vastu. However, it is advisable to follow Vastu for opening up the gates to a healthy and happy life. Vastu Shastra says that if the structure of your house is so designed that the positive forces override the negative forces then there is a beneficial release of bio-energy, which helps you and your family members to live a happy and healthy life. A positive cosmic field prevails in a Vastulogically constructed house, where the atmosphere is congenial for a smooth and happy life. Contrary to this, if the same structure is built in a manner that the negative forces override the positive, the overbearing negative field makes your actions, efforts and thoughts negative. Herein come the benefits of Vastu, which guides you to have a positive atmosphere at home,office, industry or any structure. (1) VASTU FOR HOUSES: Vastu helps convert the hidden cosmic energies into material benefits for the residents of the Vastu charged homes. It creates a positive energy field for those living there to ensure Physical, Material and Spiritual Wellbeing. VASTU HELPS CONVERT A HOUSE INTO A HOME. (2) VASTU FOR OFFICES: Application of Vastu is of exceedingly importance for offices where proper flow of finance is required. Vastu helps in making the environment conducive to Growth with the help of balancing the five elements of nature namely, Water, Fire, Air, Space and Earth. Simple changes such as sitting arrangements of Staff,C.E.O, Proper placement of Safe, Use of proper color, and proper placement of water bodies (bathroom, Water Coolers etc.) go a long way in enhancing the business. VASTU HELPS THE BUSINESS RUN EFFICIENTLY AND MAKES IT CONDUCIVE TO GROWTH. (3) VASTU FOR FACTORIES: All factories require huge investments and have multi tasking activities taking place simultaneously namely, Raw material Purchasing, Manufacturing, Assembling, Packaging, Accounting, Transportation of Goods etc. and more importantly taking care of Human Resources (labor related issues) Proper Vastu helps in co-coordinating these activities thereby generating growth for the investors. Factory Designed as per Vastu help in getting inmore investments and attracts more business. 4) VASTU FOR REAL ESTATE & BUILDERS (CONSTRUCTION COMPANIES): Construction of Buildings require huge investments and have multi tasking activities taking place simultaneously namely, Land Acquisition, Raw material Purchasing, Architecture and Planning , Accounting, Liaising with Government Department, Selling of houses and shops etc. and more importantly taking care of Human Resources (labor related issues) Proper Vastu helps in co-coordinating these activities thereby generating growth for the investors. Buildings designed as per Vastu help in getting more investors and therefore sell faster. Vastu helps you select the right plot for construction, thus avoiding problems later. Simple techniques like proper placement of the main gate helps in a long way to generate positive energy thus leading to the building getting sold off quickly. Buildings which lay stagnant and do not sell fast, can be ‘energized’, Vastu can be used to sell those buildings fast. Vastu explains how to get the most profits out of building by channelizing positive energy with the help proper constructionformulae as per Vastu. Vastu can be applied to improve the moral of the work force and avoid labor problems, which has in return increased the productivity. COST OF IMPLEMENTING VASTU IS NEGLIGIBLE, COMPARED TO THE EXTREMELY HIGH RETURNS OR BENEFITS YOU DERIVE FROM IT.